Byron Garfield Logan was the son of Andrew Logan and Jane Steele of Lot 22 Concession 10. His father died young and Byron farmed half of the property while his brother farmed the other half. He moved to Moose Jaw, Saskatchewan where he became a locomotive fireman. 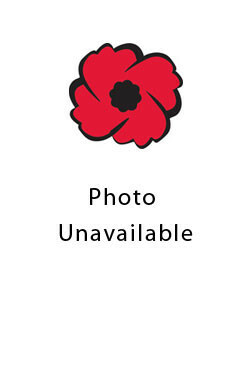 It was there he enlisted in 1914 with the 28th Canadian Infantry Battalion. On May 28, 1915 he sailed with his battalion on the SS Northland (later condemned as unfit for troops). They grouped with three other battalions to form the 6th Infantry Brigade in the 2nd Canadian Division. They trained at Shorncliffe and Folkestone before heading to France in September, 1915. They marched to the Hazebrouck area. By September 23 they were in the front lines near Wytschaete in the Ypres sector. The Ypres area was not a quiet sector. Units in the front lines were under constant harassing fire from snipers, machine gunners and artillery of the 2nd Bavarian Corps of the German 6th Army. The result was a constant trickle of casualties. Private Logan was wounded by shrapnel on October 12th and was evacuated to 6 Canadian Field Ambulance and then 8 Casualty Clearing Station where he later died. He is buried in the Bailleul Communal Cemetery Extension in France. He was predeceased by his father and survived by his mother and a brother, Wesley Logan, both of Lot 22 Concession 10 East Nissouri, Oxford County, Ontario, Canada. -- Courtesy of St. Marys Journal Argus.